• Kim White and Jade Storr were kept busy at the spinning wheel at the Foster Primary School fete held last Sunday in perfect weather conditions. 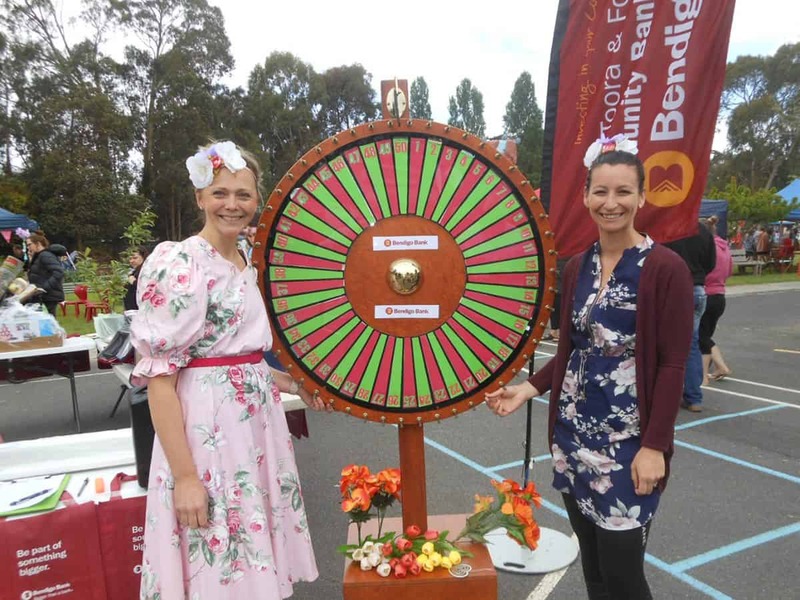 FOSTER Primary School’s 2018 fete has been declared “brilliant” by principal Lorraine Gurnett. Of course, Lorraine was not the only person in town singing the fete’s praises. Held at the school on Sunday, the bi-annual event drew a huge crowd. Planning for the day started way back in 2017, Lorraine said. “It was really well supported, with parents, teachers, extended families – everyone got involved,” she said. “The day ran so smoothly too. We had so many wonderful volunteers, whether teachers or parents. We also staged our school concert at the same time, which added something to the day, with the singing and dancing. Lorraine said counting up of the proceeds from the day had not yet finished, but was expected to be a sizeable amount. The money will go toward fixing up the school pavilion’s laser light sheeting and insulation. Lorraine praised Bendigo Bank for its generous support in providing funds for prizes. Many others helped too. “There were so many donations given. There are really too many people to single out anyone for mention,” Lorraine said.